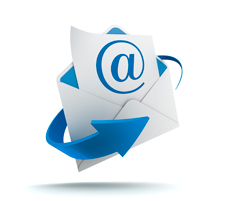 Email marketing is an essential part of your inbound marketing campaign. It allows you to reach thousands of individuals in a short period of time, and although not everyone responds to (or even opens) the email messages, the cost-yield is very attractive, as you don’t spend much (or anything) on the campaign and it only takes a handful of replies to make it extremely profitable. If you ask us, we say email marketing is always worth your time. Email marketing that is done correctly – with lead segmentation – is always worth your time. While many businesses change marketing platforms and messages in order to reach different key demographics, most make the mistake of keeping email marketing the same throughout. But this is a recipe for limited success. A truly effective email marketing campaign will always make use of lead intelligence in order to segment lists. As stands the case with all other methods of marketing, not everyone receiving the message views it in the same way or is looking for the same information and services. Therefore, it is imperative that you modify your lists of recipients and plan to send out emails that are relevant specifically to each targeted group. 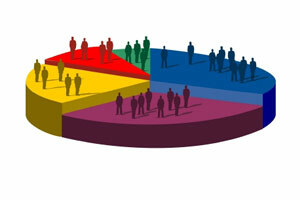 List segmentation allows a marketer to takes a single group of leads and breaks it down into different categories. For example, with social media marketing, it is possible to alter messages depending on the age, gender and other demographics of the individual recipients. it is no different with email. While the same kinds of demographic information may not always be available when planning for your email marketing campaign, and even more valuable set of data should be right at your fingertips if you have been properly running your entire inbound marketing process. What do we mean? Well, if you use a software like Hubspot, you should be able to track each lead carefully, identifying where they came from, how long they were on your site, what they downloaded and more. Depending on where they entered your sales cycle, you should then be able to take the group of email addresses and split the leads into different lists in order to better market your various buyer personas in the most effective manner. You can break your lists down into individual versus business email accounts. No matter what kinds of services you offer, an individual is going to use your company differently than a business. And chances are, your pricing structure is different between B2B and B2C. Consider also breaking your lists down depending on where leads entered the funnel. Should you send an email promoting a free informational ebook to a list of leads who have already indicated that they are in the bottom of the funnel, nearly ready to buy? Probably not. Save that ebook for your top of the funnel list. Instead, email those bottom of the funnel prospects a coupon to entice them to take the lead and become a customer! For more help with your email marketing campaign, check out our brand new resource below. It’s an easy, helpful and quick checklist to make sure you covered all your bases before you hit that send button!